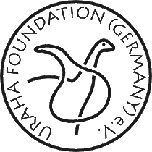 Magnitudes and fatalities – URAHA Foundation Germany e.V. 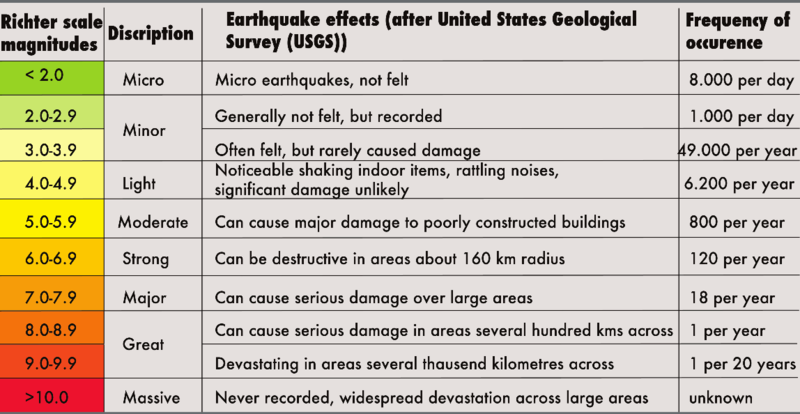 The magnitude of an earthquake is usually measured by the RICHTER scale, developed by Charles Richter in 1935, based on the amount of ENERGY released. 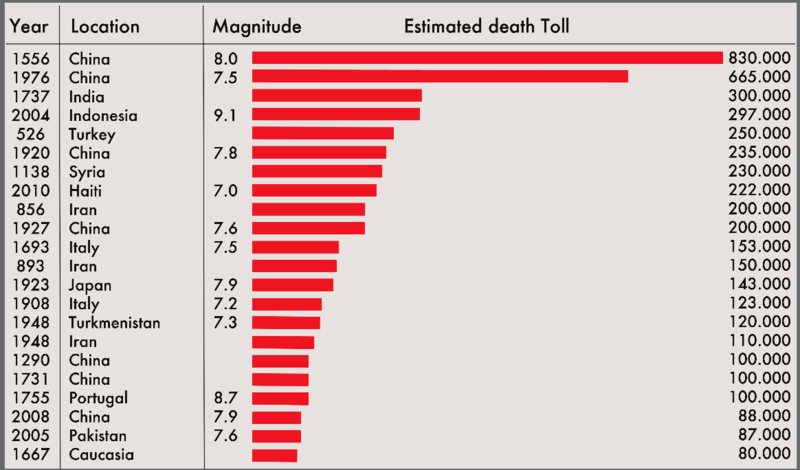 Each step on the scale is a tenfold increase in earthquake power. That means that magnitude 7 is 10 times stronger than magnitude 6, and 100 times stronger than magnitude 5. 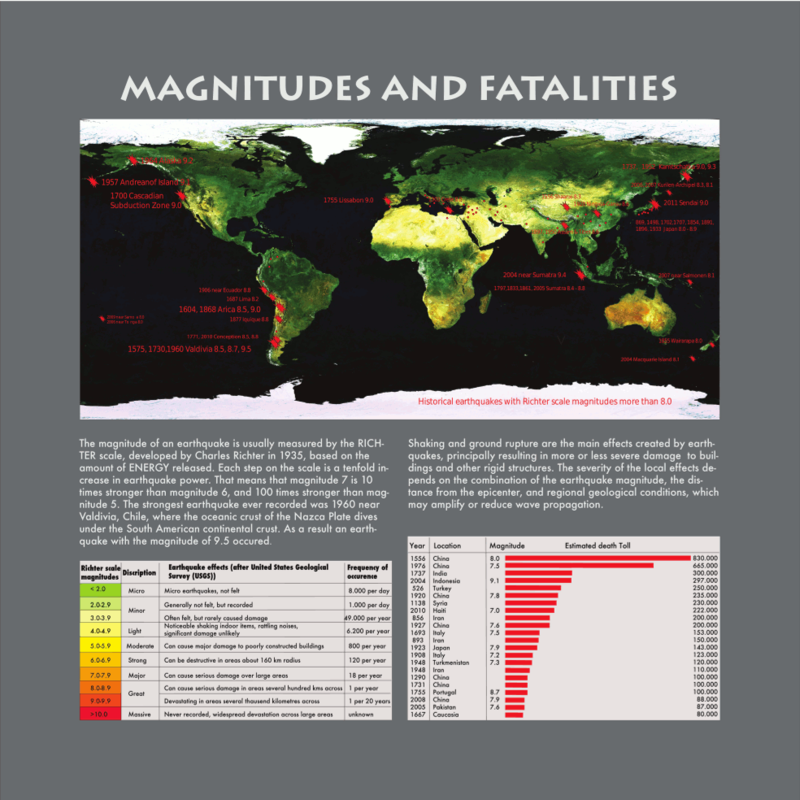 The strongest earthquake ever recorded was 1960 near Valdivia, Chile, where the oceanic crust of the Nazca Plate dives under the South American continental crust. As a result an earthquake with the magnitude of 9.5 occured. 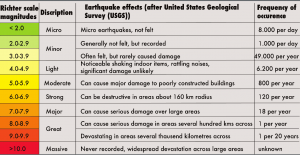 Shaking and ground rupture are the main effects created by earthquakes, principally resulting in more or less severe damage to buildings and other rigid structures. 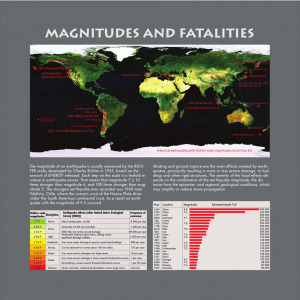 The severity of the local effects depends on the combination of the earthquake magnitude, the distance from the epicenter, and regional geological conditions, which may amplify or reduce wave propagation.